It seems only natural that Marshall Murphy ('20) wants to be a teacher. “I have always liked working with kids, and want to be able to have a lasting effect on the future,” he says. "One of the best parts about being an education major at UVM is seeing how teaching and your line of work is so important and life changing.” He is also passionate about physical fitness and finding ways to get kids moving and eating healthy, to reduce the prevalance of childhood obesity. Beyond his studies, Marshall gets involved in a variety of activities and organizations. On campus, he enjoys teaching group fitness classes for UVM Campus Recreation. Off campus, he works as a fitness instructor at Body Resolution, teaching groups of community members. But he is most proud of his volunteer work with Camp Kesem, an organization that sends children who have been affected by a parent's cancer to a week-long summer camp for free. 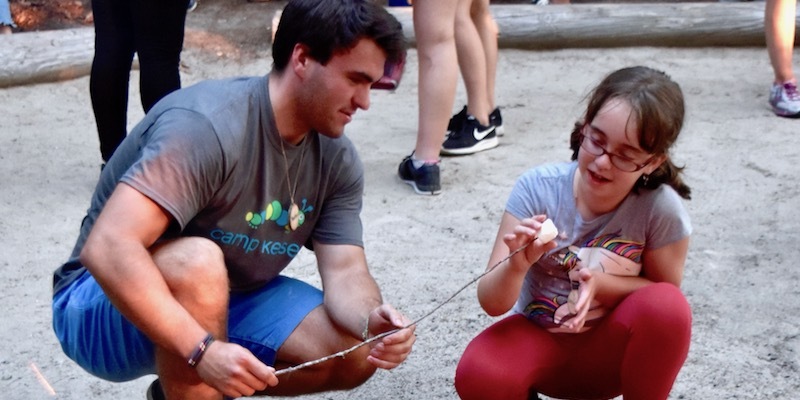 Camp Kesem is a nationwide organization, driven by a community of passionate college student leaders, that supports children through and beyond their parent’s cancer by providing with innovative, fun-filled programs that foster a lasting community. Next year, as a junior, Marshall plans to study abroad for a full semester in New Zealand, a unique and exciting opportunity offered to elementary and middle level teacher education students at UVM. There he will take coursework at Auckland University of Technology and participate in an student teaching internship in a local New Zealand school. When asked about favorite classes and faculty at UVM, Marshall says that would have to be his teacher education coursework and professors. “They make the classroom very lively, and I am interested in the content being taught.” He also enjoys NFS 143 (Nutrition in the Life Cycle) because it talks about nutrition standards for children and other populations. Immediate and long-range career plans? “Right now, I want to focus on making connections and taking advantage of all the opportunities here at UVM. Long term, I would like to work to get kids moving and eating healthy, to stop the rapid increase of childhood obesity." It's pretty clear that Marshall is a leader who's inspired to make a difference in the world, and he's well on his way to making a profound impact on the future, one child at a time. "Faculty, mentors, and peers have always been encouraging, and they provide segues to reach my goals."